Bouncing back from losses defines a season in college football, and for Johnny Manziel, Saturday gave him and Texas A&M a chance to do just that. In a solid victory over SEC foe Vanderbilt, Manziel passed for 305 yards and four touchdowns to give the Aggies just what they needed after suffering a tough second loss last weekend at the hands of Auburn. A nice bounce back victory for Louisville and Teddy Bridgewater keeps Bridgewater’s Heisman hopes alive at least for the time being, as the senior quarterback passed for 344 yards and three touchdowns against a much outmatched USF team on Saturday. After a loss to UCF last week, Bridgewater needed this kind of coasting performance in an easy win and got it. We’ll see if his Heisman stock can remain stable in the weeks to come. In leading one of the nation’s most explosive offenses and the Big 12’s surprise season of the year thus far, quarterback Bryce Petty has played a huge role in Baylor’s rise to national prominence in 2013. Saturday was no different for the junior quarterback, as he submitted a 430-yard, three-touchdown day against lesser Kansas to run Baylor’s record to 7-0. Plus, Petty didn’t even play the full extent of the game, as he has most of the season. What could have turned out to be a tough test against Pac-12 foes instead became a bit of a romp for Oregon, as UCLA proved less of a test in the second half than the first half suggested. For Marcus Mariota, the game was something of a wash, with the quarterback passing for just one touchdown and 230 yards and rushing for less than 20, far from his season averages. But still enough to lead his team to victory and give Oregon with a convincing resume win. A cruising victory for Florida State and Jameis Winston was just what the Seminoles needed coming off a season-defining victory over Clemson last week. Winston passed for 292 yards and three touchdowns in FSU’s win over North Carolina State. The 49-17 victory over the Wolfpack came in a game that could have easily served as a trap for the Seminoles, and continued Winston’s powerful performance in his freshman year. Three weeks into the BCS standings and we’re set up for the kind of controversial finish the BCS is accustomed to creating. In the waning years of the system, we might as well be used to this by now. Oregon, a team that has done nothing wrong, is once again jumped in the BCS rankings this week, as Notre Dame claims the BCS’s No. 3 spot. Oregon’s position is unchanged from last weekend, when they trailed Florida and Kansas State, but with Florida dropping a big game to Georgia, many might have expected the Ducks to see a one-spot bump. Instead, Notre Dame, the victor in a key battle with Oklahoma, leaps past Oregon. Quietly, Kansas State is the new No. 2 team after Florida’s loss, and is now comfortably ahead of the Ducks. Not a distance that Oregon cannot make up in the coming weeks, but one that is surprisingly large given the disparity of the rankings in the polls — where Oregon is a sturdy No. 2 and Kansas State is a sturdy No. 3. LSU rounds out the top five, staying just ahead of resurgent No. 6 Georgia. Florida, the Bulldogs’ victim, lands at No. 7. Then it gets a little nutty. Teams from here on down are in desperate need of some help to move up, and are well on the outside looking in on the national title picture. South Carolina, on the strength of a huge boost from the computers, lands at No. 8 despite a lower ranking in the human element. 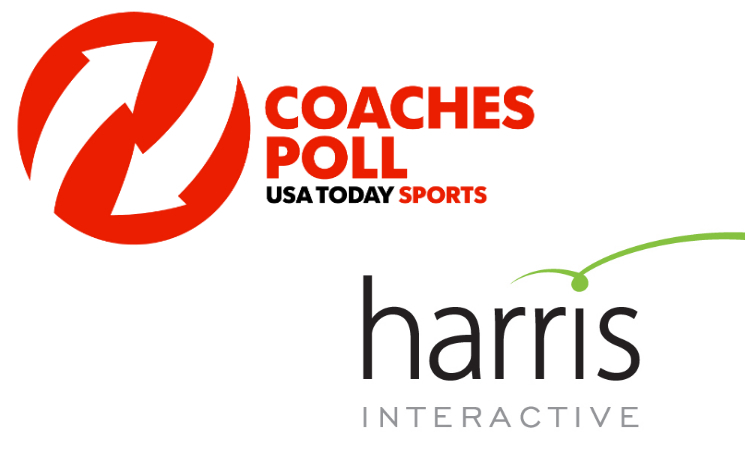 Florida State, the more convincing favorite of the pollsters in this ranking area, lands at No. 9, just ahead of No. 10 Louisville, up big from last week’s No. 16 ranking. One-loss Oregon State falls from No. 7 to No. 11 after suffering their first loss to Washington, but stays among the top-12 on the strength of still-impressive computer rankings. Oklahoma rounds out the top 12. 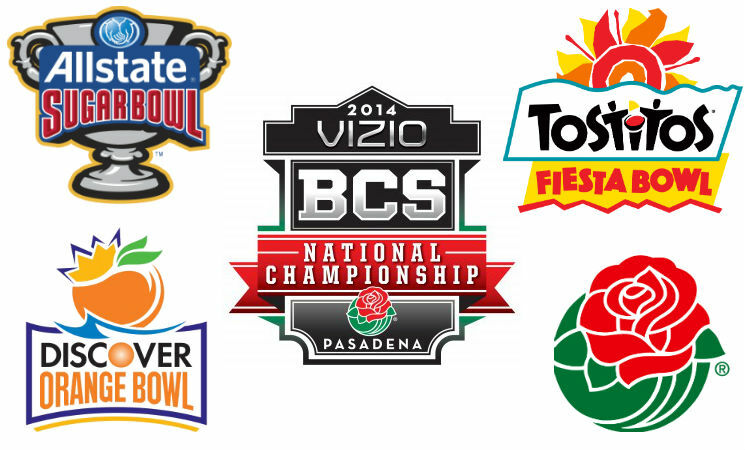 A third iteration of the BCS and we’re already looking at controversy and intrigue. Let’s find out how it all plays out. 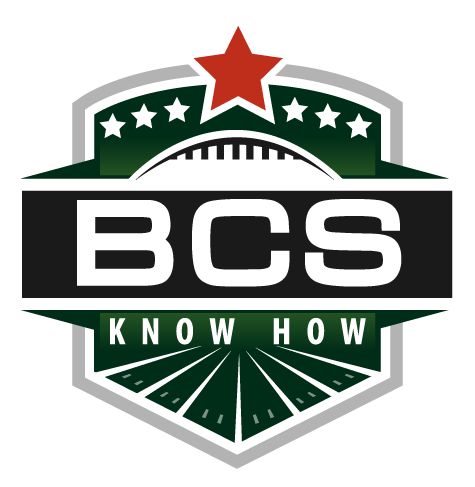 Be sure to stay tuned to BCS Know How and @BCSKnowHow throughout the coming weeks for all the latest analysis and news. A weaker showing from last week. Mostly swaps — LSU and Georgia the most notable.